Existential Ennui: Marvel Guardians of the Galaxy: The Ultimate Guide to the Cosmic Outlaws and Ultimate Sticker Collection by... Me! 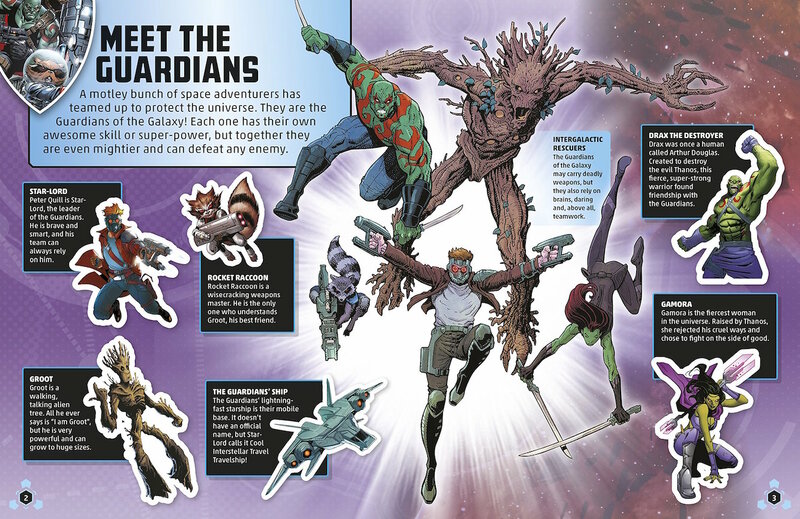 Marvel Guardians of the Galaxy: The Ultimate Guide to the Cosmic Outlaws and Ultimate Sticker Collection by... Me! 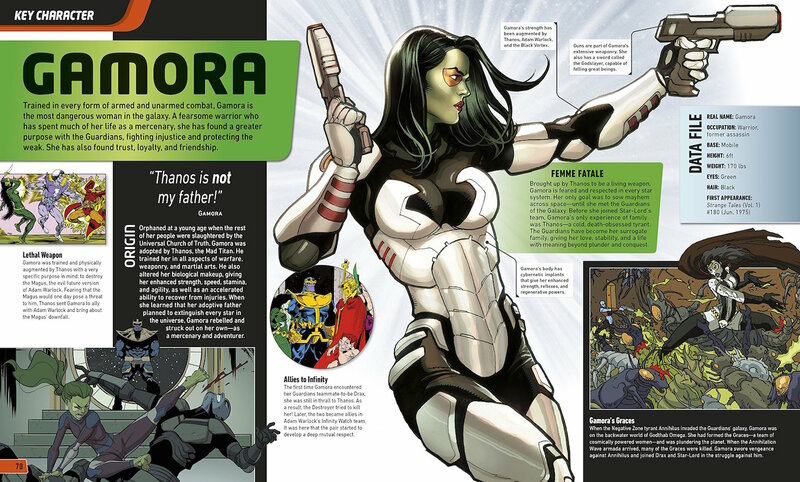 Well, me and a bunch of editors and designers and picture researchers at DK and Amazing15, not to mention the writers, artists and editors at Marvel – among them Arnold Drake, Gene Colan, Jim Starlin, Bill Mantlo, Steve Englehart, Keith Giffen, Dan Abnett, Andy Lanning, Paul Pelletier, Andy Schmidt, Bill Rosemann and Brian Michael Bendis – who had a hand in creating and expanding upon the Guardians of the Galaxy in comics. 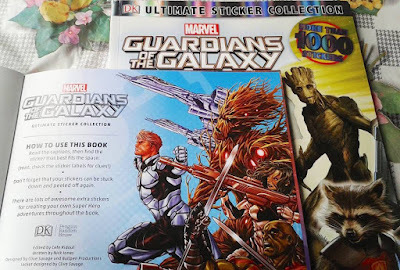 But anyway; Guardians of the Galaxy: The Ultimate Guide to the Cosmic Outlaws and Guardians of the Galaxy: Ultimate Sticker Collection have now been published by DK in the UK and US, and since I wrote both of them, and copies turned up in the post yesterday, I figured they deserved a blog post. Of the two, I guess I'm proudest of The Ultimate Guide, if only because I put so much into it – a period of five or six months over summer of last year establishing the structure and running order, doing the research (which essentially entailed reading or in some cases rereading a bunch of old comics), selecting images (which again essentially entailed reading or in some cases rereading a bunch of old comics) and writing. (My abiding memory of this period is of pacing round the garden trying to get my brain cells sparking in between feverish bouts at the keyboard.) But it's also the thing of having written a book – not cowritten, as in The Mysterious World of Doctor Strange, or written a bit of, as in my essays in the first volume of Dan Dare: Pilot of the Future and last year's Murder in the Closet or an entry or two in The DC Comics Encyclopaedia, or edited, as in the countless books and graphic novels I've, well, edited; but written. Actually written. 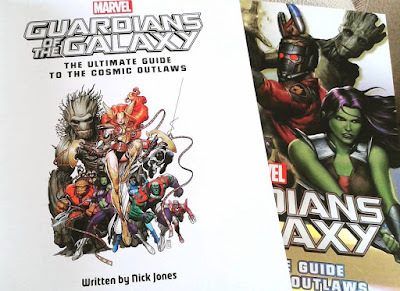 Obviously it's not a peerless work of literary genius or owt, but it's a pretty good read, I think, with hopefully a compelling structure which I strived to make not only chronological – as is traditional in these DK comics guides – but narrative as well, tracing the wider Marvel cosmic events that brought the disparate Guardians of the Galaxy together (about a quarter of the book concentrates on matters to do with Annihilation and Annihilation: Conquest, which took place before Star-Lord, Rocket, Gamora, Groot and Drax were even a team), buffeted them and then blew them apart, and taking care on each character spread to only detail those events that had happened to that character up to the point they entered the wider narrative (if that makes sense). 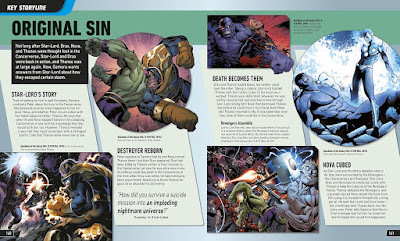 Whether anyone will notice or even care about my efforts to make the book something you can satisfyingly read front to back almost as a story as well as dip in and out of – especially the kids the book is aimed at – is open to debate, but I'm pleased my structure made it through the process intact. As for the Ultimate Sticker Collection, that for me was an exercise in brevity (not something that comes naturally to me, as anyone who's read Existential Ennui can attest), as I tried to squeeze info about the Guardians and their allies, enemies and worlds into 25-word captions in an entertaining fashion. 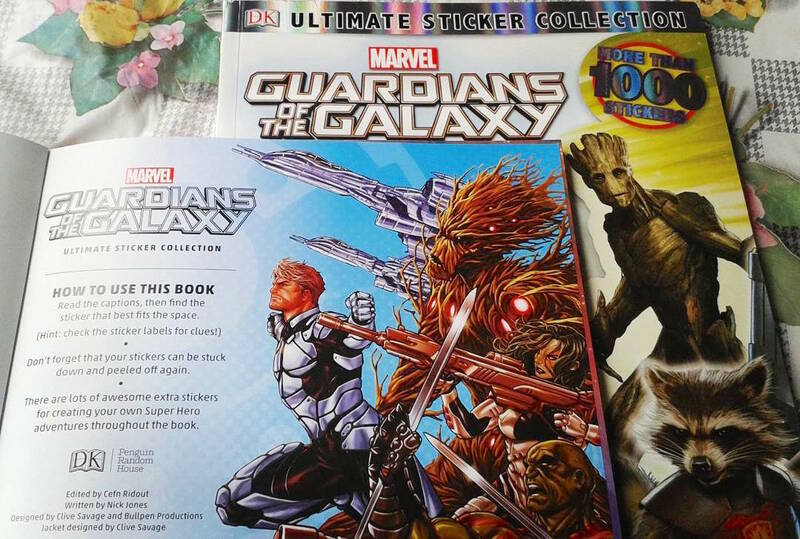 I didn't get as involved in choosing images as I did on The Ultimate Guide – not least because The Ultimate Guide was taking up so much of my time (I was writing both books concurrently) – but I gave what directions I was able to, and the end result is a lot of fun (my three-year-old daughter can't wait to get sticking). So there you have it. 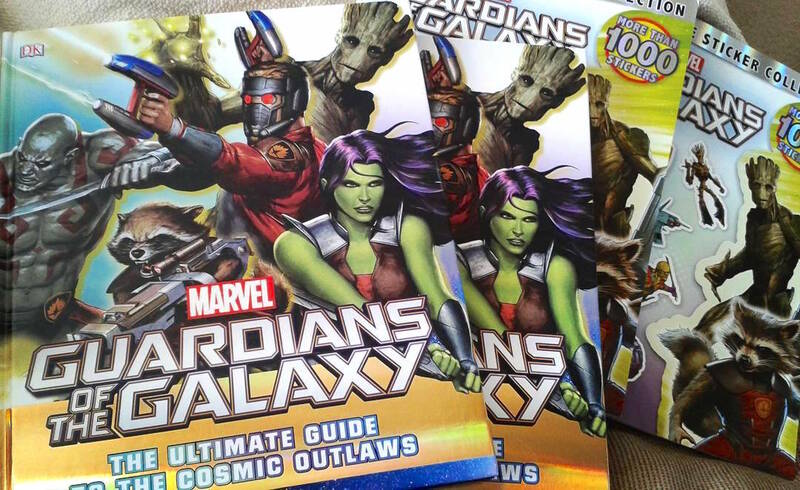 The books exist. 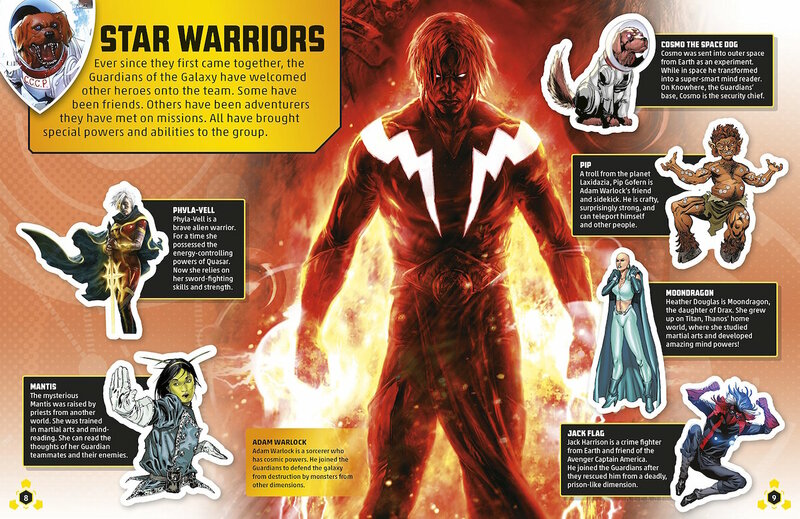 You can buy them right now (for instance here and here). And if you're unfamiliar with the Guardians of the comics – not just the Star-Lord-led team but the original 31st-century Vance Astro-led team too – and fancy finding out about them ahead of the second Guardians of the Galaxy movie (which opens in a few weeks), perhaps you'll consider doing just that.